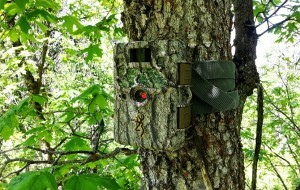 Trail cameras are very popular among those who hike and hunt. They have help changed the whole field. But there are so many varieties of trail cameras available so that it is quite hard to pick what is best for you. The cost for cameras will be different given the various manufacturers, features etc. This is something that we consider a lot when we buy new hunting gear. There are very expensive trail cameras out there that will be offering you a variety of features. It is simply a matter of figuring out what your requirement is. If you’re into hunting in a big way and it is your passion and pride, it is fine to go for more expensive models that will suit your needs. But if you’re on a budget, it’s just as fine going for a less expensive model that will do a decent job. Whether you’re going for a night vision camera or any other type, first decide on a budget and then look at the options you have and narrow down the list. One of the most important things you have to consider is how long the camera will last. If you buy an unreliable camera that is prone to breaking down a lot, this means you have waster your money as well as your valuable time. If you’re looking for, say, a 3G covert camera, look at the options that you have and then read the customer reviews on it. This is actually a very good way of seeing if the features advertised on the model actually work well in practice. Whatever camera you buy, it should at least last a year on various weather conditions. You may never know what conditions you will be hunting in so a reliable camera is a godsend. The question remains where you can go for unbiased camera reviews. You can try a few hunting talk forums for a better reference. You should also consider the camera trigger speed. A camera with a faster trigger speed will be able to capture inspiring moments in detail. You will also need a camera with a fast recovery time because otherwise you will be missing out on some of the photos. You should consider battery life as well. Since you will be going into remote areas, you will not have a lot of opportunities to charge them. However, there are portable chargers that you can carry. But a camera with good battery life will have your back on long remote trails. This way you will not have to make return visits to replace dead batteries.